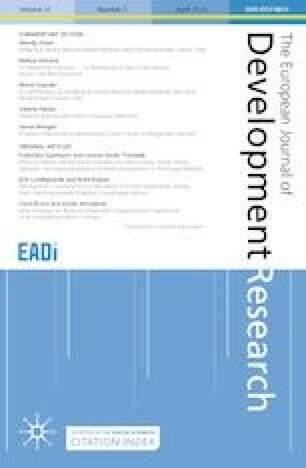 Using a unique sample of foreign-owned and domestic firms in Sub-Saharan Africa, we study the differences in the quality of jobs that they offer, and identify how these differences are associated with country-level institutional factors. We find that foreign-owned firms offer more stable and secure jobs than domestic firms, as evidenced by their higher and lower shares of permanent full-time and temporary employment, respectively. The job stability and security advantage of foreign-owned firms is smaller in countries with higher firing costs and better governance, where domestic firms are likely to offer more stable and secure jobs. In addition, foreign-owned firms are less likely to offer unpaid work and have a lower share of these workers. They also have a higher average training intensity and pay higher wages to different types of workers. The wage premia of foreign-owned firms are lower in countries with higher governance and social policy standards, where domestic firms are likely to pay higher wages. Finally, we show that the job quality advantage of foreign-owned firms depends on the location of their parents, the mode of their establishment, their main business purpose and the most critical investment incentive received from the host country. The online version of this article ( https://doi.org/10.1057/s41287-019-00211-9) contains supplementary material, which is available to authorized users. Utilisant un échantillon unique d'entreprises étrangères et nationales en Afrique subsaharienne, nous étudions les différences de qualité des emplois offerts et identifions comment sont-elles associées à des facteurs institutionnels propres aux pays. Nous trouvons que les entreprises étrangères offrent des emplois plus stables et plus sûrs que les entreprises nationales, comme en témoigne leurs parts supérieures en emplois permanents à temps plein et inférieures en emploi temporaires respectivement. Les avantages en matière de stabilité et sécurité de l’emploi des entreprises étrangères sont moindres dans les pays à coûts de licenciement plus élevés et une meilleure gouvernance, où les entreprises nationales sont susceptibles d'offrir plus d’emplois stables et sûrs. En outre, les entreprises étrangères sont moins susceptibles d’offrir des emplois non rémunérés et leur proportion de ce type de travailleurs est plus faible. L’intensité de leur formation moyenne et les salaires qu’elles payent aux différents types de travailleurs sontégalement plus élevés. Les primes de salaire des entreprises étrangères sont plus faibles dans les pays ayant une meilleure qualité de la gouvernance et de la politique sociale, où les entreprises nationales sont susceptibles de payer des salaires plus élevés. Enfin, nous montrons que l’avantage des entreprises étrangères en matière de qualité du travail dépend de la localisation de leurs société-mères, leur mode d’établissement, leur principal objectif commercial et l'incitation à l'investissement la plus décisive reçue du pays hôte. We are grateful to the Editor, John Rand, and one anonymous referee for very insightful comments and suggestions. We also thank for helpful discussions Jeronim Capaldo, Marva Corley-Coulibaly, Elizabeth Echeverría Manrique, Ekkehard Ernst, Mara Grasseni, Takaaki Kizu, Gianluca Orefice, Daniel Samaan, Pelin Sekerler Richiardi, Zheng Wang and Maurizio Zanardi, as well as participants in the Oxford CSAE 2017 conference, the International Labour Process 2017 conference, the InsTED/Sao Paulo School of Economics 2017 workshop, the ITSG 2017, the CRETE 2017, the ETSG 2017, the EALE 2017, and the TMT4Africa 2018. The views expressed here are those of the authors and do not necessarily reflect the views of the institutions they are affiliated with. Sotiris Blanas gratefully acknowledges financial support from the Research Department of the International Labour Organization (ILO) under the external collaboration Contract No: 40168089/0.